In January, I posted about five life-changing books I read in 2012. One of those, was Bonhoeffer: Pastor, Martyr, Prophet, Spy by Eric Metaxas. If you have not read it yet, I highly recommend it! 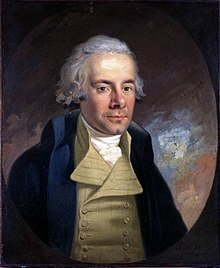 It is a vital read for this day and time! I am a HUGE Dietrich Bonhoeffer fan now and a few of his published books are on my ever-growing to-read list! 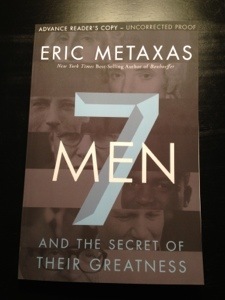 I’m also an Eric Metaxas fan, as well! I recently read his short book, No Pressure, Mr. President! The Power of Belief in a Time of Crisis, about his speech at the National Prayer Breakfast last year and I just downloaded the Kindle edition of another book he wrote, Amazing Grace, which is only $2.99 on Amazon for the month of March! This past Tuesday, I was fortunate to be able to attend the Bonhoeffer Tour: An Evening with Eric Metaxas New York Times #1 Best Selling Author sold-out engagement in Nashville! I loved how Doug Hudson, who introduced Metaxas, set the tone for the event in his brief speech. Hudson commented that the night was not to celebrate Bonhoeffer or Metaxas, but “to celebrate Jesus Christ who is the root of our courage.” Can I get an “Amen”?! It was such a blessing to be able to attend a talk that focused on two men striving to do God’s will so that others may know the love and grace of Jesus! Having read two of Metaxas’ books already, I had a lot of background information prior to this event. The Q & A session at the end was a great opportunity to hear Metaxas expand on certain issues and concerns. One of the biggest, is the fact that there are so many parallels between the state of America today and that of early Nazi Germany. If you don’t stand up early, it’s a lot harder to speak up later on. 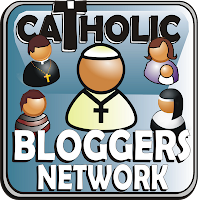 Due to being in the blogging world, I have had the opportunity to read so many great posts by other Catholics. I am very encouraged that there are so many Christians in this country who are standing up and writing about truth and striving to do God’s will! If you are one of these amazing evangelists, please continue your good work! Let us imitate Bonhoeffer’s saintly example by praying and acting! Metaxas stated that Bonhoeffer believed that “prayer must lead to action.” He truly lived his life based on this truth. Metaxas also commented, “God calls us to live fully in this world” and “God blesses us to be a blessing.” Amazing words! Thank you for your work and example, Mr. Metaxas! 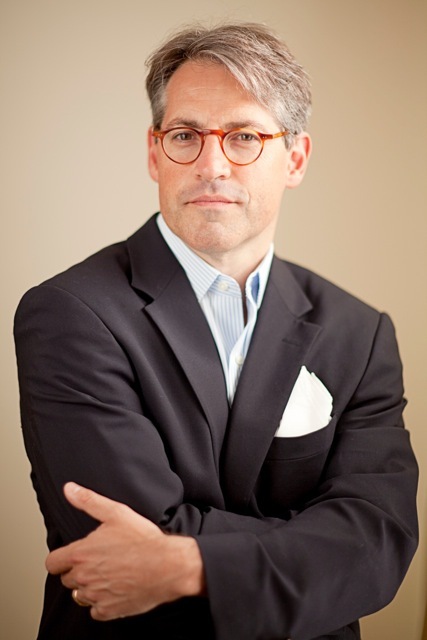 To learn more about Eric Metaxas, check out his conversion story! May we have the courage to stand up for the right to live our faith, so that we may encourage others to do the same! TO ENTER, JUST COMMENT ON THIS POST OR RETWEET/SHARE MY LINK TO THIS POST ON TWITTER (@a_dreamers_wife)! IF YOU DO BOTH, YOUR NAME WILL BE ENTERED IN THE DRAWING TWICE! ONE WINNER WILL BE CHOSEN AT RANDOM. THIS SWEEPSTAKES ENDS 8:00 PM EST MARCH 15, 2013. WINNER WILL BE NOTIFIED VIA THIS POST, EMAIL, AND/OR TWITTER. GOOD LUCK!